Recently we came across a major story about the CBSE paper leak from various sources. Those who had access to the exam papers charged Rs. 35,000 per paper and even some parents took part in it by reselling the papers to others to cover their cost. Thus the leaked papers were available upto Rs. 5,000. This caused a huge uproar among the students which led to a re-examination. The current investigation is currently focusing on the role of CBSE officials, invigilators and school staff, coaching centres and printers. The leaked Economics paper was being circulated on social media for several hours before the test started on Monday. The Delhi government also reported that it received complaints from the CBSE about the Class 12 Accountancy paper being leaked too. The past months saw many downs for the education system in India and challenged the way we share information in our country. This whole fiasco could had been resolved if the education system was driven by the power of Cryptography and Blockchain. We at RecordsKeeper thrives on latest technology and the power of Blockchain. This specific use case is the prime example of where RecordsKeeper comes into play and provide the utmost security in the shared information world. RecordsKeeper is an open source platform for open record keeping & data security. Using RecordsKeeper’s public Blockchain anyone can publish a key-value pair of records which are immutable & verifiable. Let’s discuss some of the major problems and how RecordsKeeper can solve them with respect to the CBSE paper leak. Currently the CBSE paper is presented in multiple mediums which gives a person with authority to take it out and sell over the black market without being noticed. Using RecordsKeeper as the storing medium for the exam papers, it limits the exam paper presence on multiple mediums. Once the exam paper is over RecordsKeeper Blockchain then there is only one single medium of shared ledger available. If the CBSE exam is shared over some relational Database or central storage then there is always a possibility of a malicious attacker trying to access the information or Denial-of-Service (aka DoS) attack but with the use of RecordsKeeper Blockchain we can provide immutability and security for the same. Once the exam paper is over the RecordsKeeper Blockchain, it cannot be modified, deleted or tampered. Moreover the security is provided with the Cryptographic algorithms being used with RecordsKeeper where you can encrypt the exam paper and store it over the RecordsKeeper Public Blockchain. As the RecordsKeeper network is made up of multiple peer-to-peer nodes, there is no central storage available for conducting Denial-of-Service attack as all the the nodes are synchronized with each other. The major concern point of the CBSE exam paper leak was that the authorities who had access to the exam papers were the focal point for the leak of the exam paper. RecordsKeeper provides a solution to this in a very neat and effective technological way. In RecordsKeeper, everyone who has access to the Blockchain has their own private-public key pairs. Everyone – be it schools/students/authorities/agencies can create a private-public key pairs. 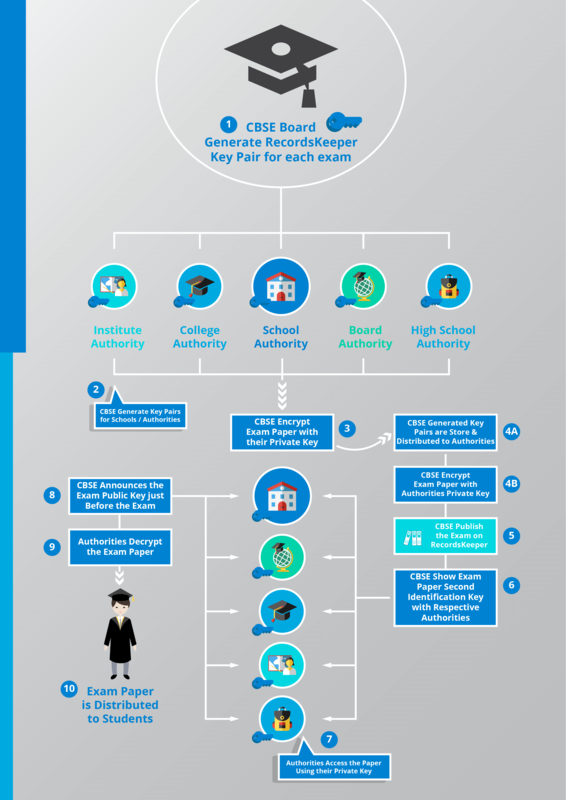 The CBSE board can have multiple private-public key pairs for different exam papers. Now the private key is to be securely kept with the person but they can share their public key to the rest of the world. In our scenario, the following path can be taken to solve the problem. CBSE board generates a key pair for each exam. The people/agencies who need the access to the paper can share their public keys through secure internal channels with the CBSE or the CBSE board themselves can generate key pairs for all the schools who require the access to exam papers and share it with them. This process can be online & automated. After that, once the head of CBSE has all the public keys of different schools then they can encrypt the exam paper again (second encryption) by the school’s public key to make sure that only the school registered with the CBSE only has access to the exam paper through their respective private keys. Here the public-key of the respective school needs to be the part of the exam itself to trace back school easily in-case of any leak. The encrypted exam paper is published over the RecordsKeeper blockchain along with . This will create multiple transactions entry over the RecordsKeeper for individual school. There may be 30,000-40,000 CBSE Schools all over the country.  The uploaded exam paper’s record identification key is shared with all the respective schools once it is uploaded over the RecordsKeeper Blockchain. This will ensure that they all have the encrypted exam paper ontime. Ideally can be done 24-48 hours before the exam. Now the magic of RecordsKeeper comes into play – the school have the access to the exam paper through their respective individual recorded transaction and they can decrypt the exam paper using their own private key. Please note they will still not able to access the exam as it is also encrypted by CBSE’s private key & they need the public key of the CBSE to decrypt it. This way of uploading data over the RecordsKeeper Blockchain provides a way for the CBSE board to monitor the access of the exam papers and it also makes sure that the exam is not reached to an unwanted party. CBSE announces the exam public key just before the exam. May be 30 minutes or so. The authorities now can decrypt the exam using the exam public key. Convert it into printable format using simple tools like JSON/XML to PDF converter. Finally the exam paper is distributed to the students. Please note each paper will have the public-key or record-key of the school printed in small letters (in background, like water mark) of the question paper all over the question paper. Not at just one corner or page of the exam paper. This will easily allow the regulators or investigators to trace the school in case of any leak. Since only the principal will have the access of the private key pinpointing the human will be much easier. Using RecordsKeeper Blockchain to distribute exam makes sure that every activity is being tracked and if somebody tries to maliciously access the paper then it will be recorded over the RecordsKeeper Blockchain and the culprit can apprehended as soon as he/she tries to access the exam paper. We can take a step further in security by creating the key pairs for students and with that the students will have direct access to the exam without any 3rd party mediums and dependencies. Please check RecordsKeeper’s technical documentation here or reach out to us here for any PoC on RecordsKeeper. RecordsKeeper is here to make sure we change the way we share information and with its use we can uplift the security, immutability and transparency in our education industry.